EAGLE make Jib Cranes have large heights and large boom length. 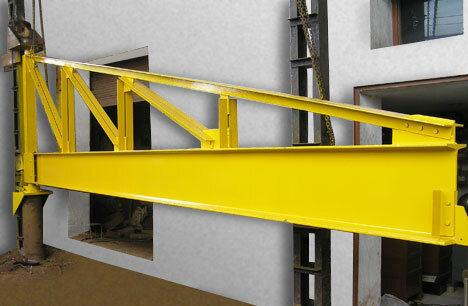 Special foundation is carried out for this type of crane to withstand the unique technical specifications. These cranes are having 90º - 360º rotation. These rotation is manually as well as electrically. Capacity : 500 Kgs. to 5,000 Kgs.